I have two lots of magazines for sale. I will not break up lots. 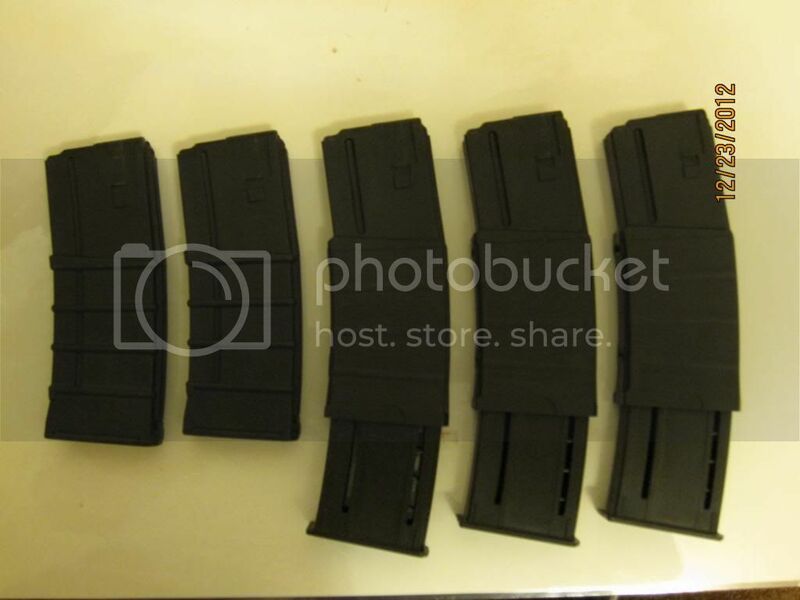 Lot one $90, (5 total) thermold magazines are two regular 30rds and three 30/45 rd collapsibles. New never used. !!!! !THERMOLDS ARE SOLD TO 47CHEVY !!!!!! 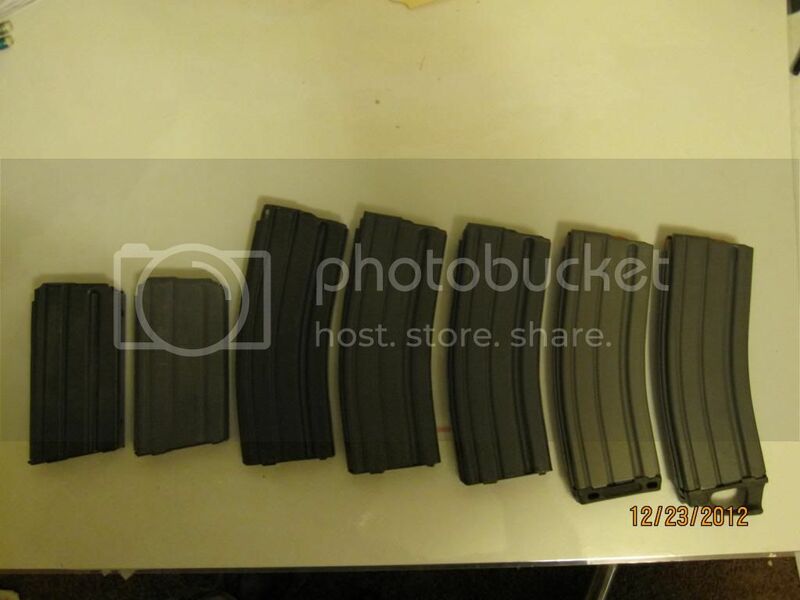 Lot two $120 (7 total) are from left to right (1) 20 round no stamp(new),(1) 20 round adventureline, (2) thirty round adventurelines, (1) thirty rd parsons, (2) bushmasters with Magpul base plates and orange antitilt followers (New). The adventurelines/parsons look new or near new and I have never used them but I can't remember the purchase so I won't say they are. Excellent condition nontheless. Add $10 per lot for shipping. USPS $order CONUS. NO BAN STATES. First P.M. gets them. I'll take the Thermold lot. IM sent. Thank you. DJACK welched out, lot 2 back for sale.